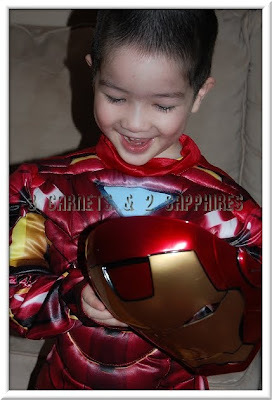 I recently shared a photo of our youngest son in his new preschooler Iron Man costume . I actually took an overabundance of photos of him in this costume because he was just beaming from being so happy and excited. So here is another photo of our little Iron Man. I'm surprised his face didn't hurt that day from smiling so much.